The Joy of (Euro) Six? Home page/ News / The Joy of (Euro) Six? As European cities look to tackle the harm caused by air pollution, much hangs on the real-world emissions performance of Euro 6 (light duty) and VI (heavy duty) vehicles. If the on-road performance of these vehicles proves to be considerably better than existing vehicles then the promise of potentially large improvements in air quality, and consequent reductions in health impacts, may be within our grasp. There is currently much focus on the new, lower emitting, Euro 6/VI vehicles that are being added to the fleet. However, I believe we should also not ignore the older vehicles that are being removed from the fleet. It is the removal of these older vehicles that offers the greatest gains in improved air quality in the short term. Indeed, removing (or retrofitting) older diesels would not only reduce emissions of NOx but it would almost certainly reduce emissions of PM2.5 and even provide a small reduction in CO2, the benefits of which should not be ignored. Nevertheless, Euro 6/VI vehicles in the fleet today will be around for some time to come and it is still important to understand their emissions characteristics. 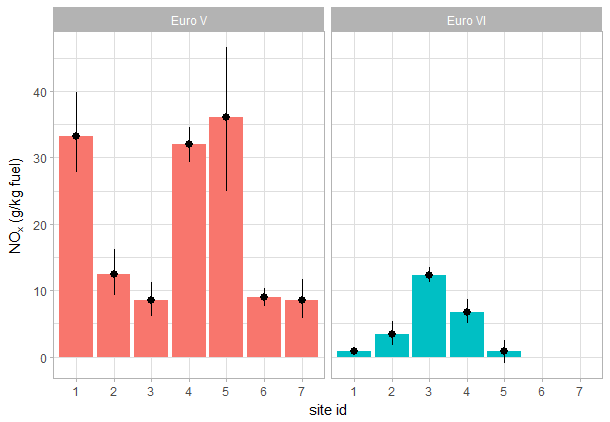 In this blog, I wanted to share some of the evidence for the emissions performance of Euro 6/VI that is emerging from our vehicle emission remote sensing measurements. Ricardo is currently piloting remote sensing around the UK and our vehicle emissions database currently holds nearly 100,000 real-world driving emission measurements from road vehicles. There has been so much focus in the past couple of years on diesel car emissions, in large part driven by dieselgate. It sometimes seems that people are forgetting that other vehicle types exist at all. This is a problem if the focus of our concerns is local air quality, and especially the air quality in towns and cities. 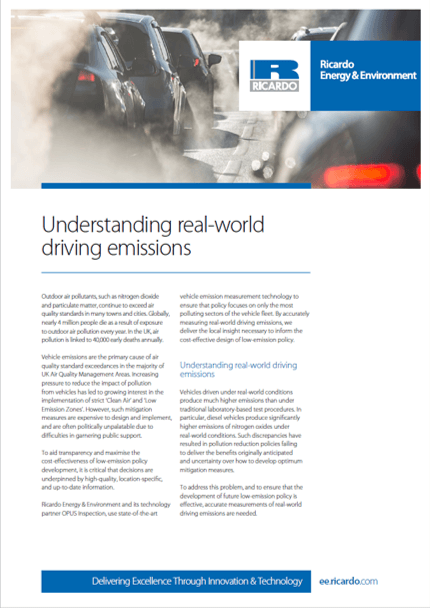 If we are to equip ourselves with the information we need to take informed decisions, we must obtain a more balanced view of the contributions that vehicle emissions have across the full fleet. For instance, over the past decade it is clear that in many locations, urban buses dominate emissions of NOx and NO2. Similarly, there has been a large increase in the use of diesel vans - partially from the rise of e-commerce couriers. As such I am particularly keen to draw attention to how emissions of NOx from Euro 6/VI vehicles, not just diesel cars, have changed relative to their predecessors. Provides a simple indication of the improvement (or otherwise) of vehicle emissions without being concerned about ‘Conformity Factors’ and comparisons relative to limits set for laboratory conditions … ultimately, what drives improvements in air quality is the change in real-world emissions not how emissions compare with lab-based measurements. 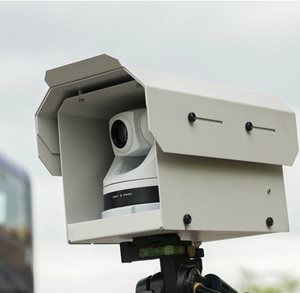 A key benefit of Ricardo’s vehicle emission remote sensing data set is that it includes an Automatic Number Plate Recognition (ANPR) service. This is useful because it makes it possible to present data that is weighted by the actual distribution of the fleet in use. The data can still be used to consider individual manufacturers, fuel types and after-treatment technologies etc. but a fleet-weighted average provides a much better indication of overall emissions performance. Any changes in emissions would be expected to be closely reflected in resulting air pollutant concentrations. The main results are shown above for a total of 19,150 vehicles. Overall, diesel passenger car NOx is reduced by 55% between Euro 5 and Euro 6. There are greater reductions in NOx for vans and heavy-duty vehicles (HDVs). For diesel vans < 3.5 t NOx is reduced by 68% and there is a 58% reduction in NOx for HDVs between 3.5 and 7.5 t. The greatest reduction in NOx is however seen for the largest HDVs (> 12 t) where NOx is reduced by 88% between Euro V to Euro VI. The situation for buses is more mixed and is in fact very variable – overall, Euro VI buses emit 44% less NOx than Euro V buses on a fleet-weighted basis. 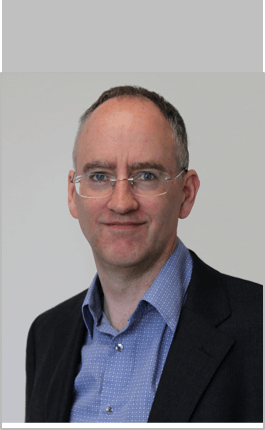 The emissions from buses need to be considered in more detail. 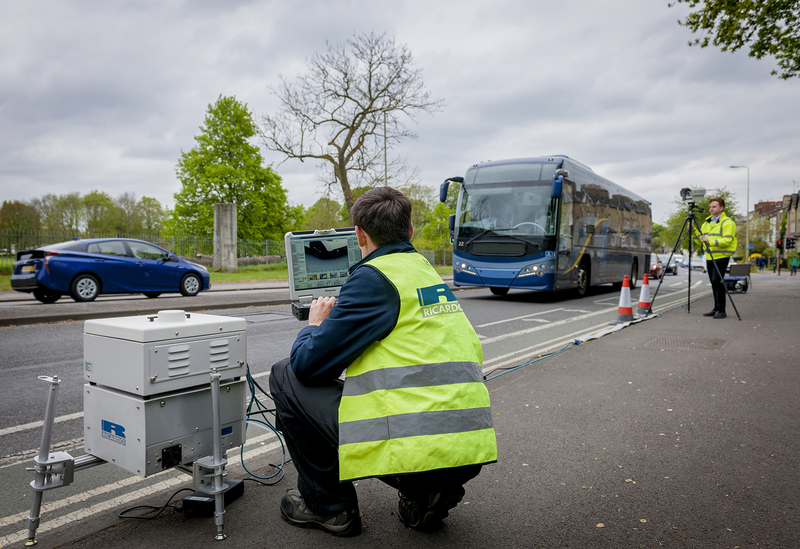 Unlike the other vehicles considered, local authorities often have very specific bus fleets resulting in a wide range of emissions performance, making a fleet-weighted average across different local authority areas less valuable. The emissions from buses are summarised in more detail below, categorising emissions by measurement location. While some of the variation between the different locations will be due to different driving conditions, much is driven by the different bus technologies in use, as has been shown in previous remote sensing measurements. Figure 2: Emissions of NOx from Euro 5/V and Euro 6/VI buses split by sampling locations. The results presented in Figure 2 show that Euro V bus emissions of NOx vary between 8.5 and 33.2 g NOx per kg fuel. However, there is proportionately a much greater range in the performance of Euro VI vehicles where the NOx varies from 0.8 to 12.3 g per kg fuel. These results warrant more investigation to explore the reasons behind the large variations seen. What is clear is that there will be very different implications for roadside NO2 concentrations depending on both the bus technology and driving conditions. For bus fleets, there are compelling reasons to make measurements of the local fleet under local operating conditions. Taken as a whole, the remote sensing data shows very encouraging reductions in NOx emissions in going from Euro 5/V to Euro 6/VI across all the main types of diesel vehicle. Caution is needed however when making these comparisons because unlike previous Euro classes, Euro 6/VI have multiple stages that mean we can expect potentially large differences in emissions performance across Euro 6/VI vehicles as improved technologies enter the fleet – not all Euro 6/VI are born the same. The data clearly highlight the need to look beyond diesel cars. We must also consider the whole of the vehicle fleet – including LGVs, HDVs and buses – if we are to better understand the impacts, and the potential for effective mitigation measures necessary to improve local air quality.